India's Anirban Lahiri had a roller-coaster ride for most part of the day but in the end managed to survive and ensure entry into the final round of the AT&T Byron Nelson golf tournament here. Lahiri, who shot a superb five-under 65 in the second round went up-and-down throughout his the day with five birdies, four bogeys and one double bogey. 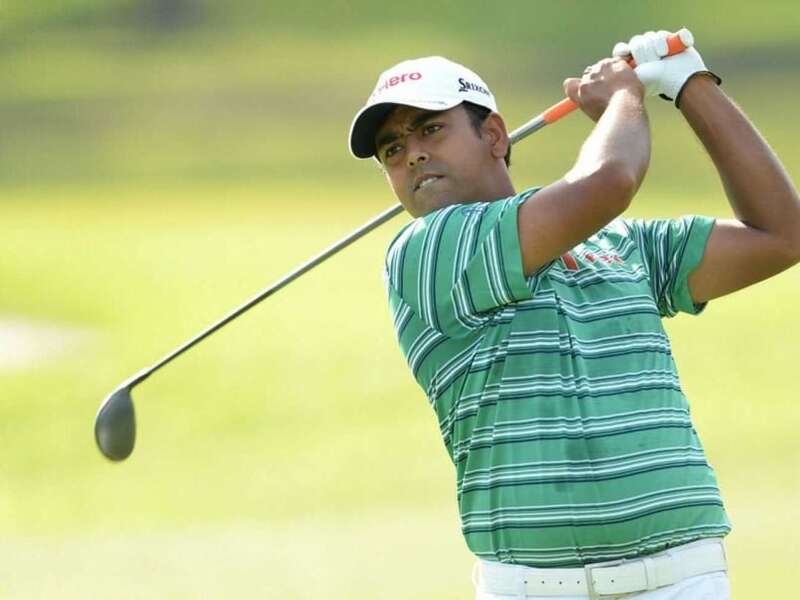 Lahiri, who was three-under and tied 59th at the end of the second round dropped to tied 68th as top 70 and ties made the 54-hole cut, which was applied as more than 78 players made it past the 36-hole cut on Saturday. With more than 78 players making the 36-hole cut - there were 83 players - a 54-hole cut took place yesterday reducing the field to 74 professionals at low 70 and ties. That came at two-under 208 or better. Brooks Koepka overcame two early bogeys and a sea of Jordan Spieth bobbleheads to shoot a five-under 65 and matching the AT&T Byron Nelson's best 54-hole score at 16-under 194. He moved into a two-stroke lead over Spieth going into the final round when they will be paired together again.